The landscapes of enduring fictional characters and literary legends are vividly brought to life, evoking all the sights and sounds of the original works. 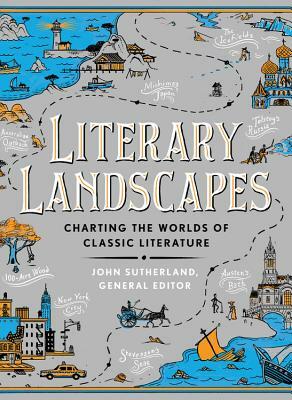 LITERARY LANDSCAPES will transport you to the fictions greatest lands and allow you to connect to the story and the author's intent in a whole new way. John Sutherland is Emeritus Lord Northcliffe Professor of Modern English Literature at University College London. He currently teaches at the California Institute of Technology and specializes in Victorian fiction, 20th century literature, and the history of publishing. His books include How to Read a Novel and Curiosities of Literature, and he was a major contributor to Literary Wonderlands. He is a regular contributor to The Guardian, The New Statesman and The London Review of Books.